Battle of Gettysburg Day 3: A "do-or-die moment"
"I think the Yankees had something to do with it." - Gen. George Pickett on why the Confederate Army's final charge failed on July 3, 1863. After two days of battle, Robert E. Lee could see that he had the Union troops on the ropes. By his estimation, one more big punch would win the Battle of Gettysburg decisively. The stakes were high. A victory would potentially disintegrate the Union Army altogether and force President Lincoln to open peace talks that would recognize Confederate independence, according to Allen Guelzo, author of "Gettysburg: The Last Invasion." "At Gettysburg, almost everything about the Civil War and the survival of the Union and the abolition of slavery was on the table," Guelzo said. "It was going to be a do-or-die moment." And so, on July 3, 1863, Lee went for the knockout blow. He once again called upon General James Longstreet, who assembled three divisions of Confederate infantry under the direction of George Pickett, Isaac Trimble and James Pettigrew. The order was simple - strike right at the heart of the Union army behind Cemetery Hill. But first, an unprecedented Confederate artillery bombardment was launched. Heard as far away as Philadelphia, the bombardment was "probably the largest, loudest noise ever yet heard on the North American continent," Guelzo said. At about 2:00 in the afternoon, more than 12,000 rebel soldiers advanced across the open fields in what became known as Pickett's Charge. The attack failed miserably - hundreds of Confederate soldiers were killed trying to reach the Union defense on Cemetery Hill. The ill-fated charge happened to break up on the property of Abraham Bryan - a free black farmer. "There's a tremendously satisfying irony in that," Guelzo said. "The high water mark of the Confederacy reached its peak and then sweeps backward on the property of a man who, by the Confederate definition, should never really have existed." Lee was forced to retreat and the three-day conflict ended with a grim tally: roughly 50,000 soldiers died at Gettysburg, making it the bloodiest battle of the war. The next day, on July 4, the Confederate Army surrendered the fortress of Vicksburg to Ulysses S. Grant. 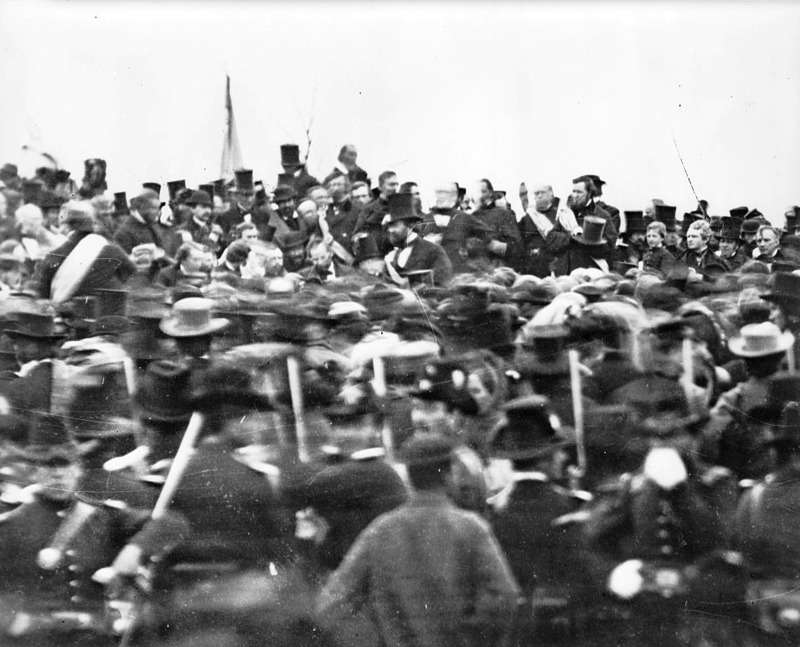 Four months later, President Lincoln delivered his famous Gettysburg Address at the dedication of the Soldiers' National Cemetery in the war-torn town.